It may seem like there’s very little left to explore in the world. But every now and then, something comes along that reminds us just how much treasure is still waiting out there to be discovered. 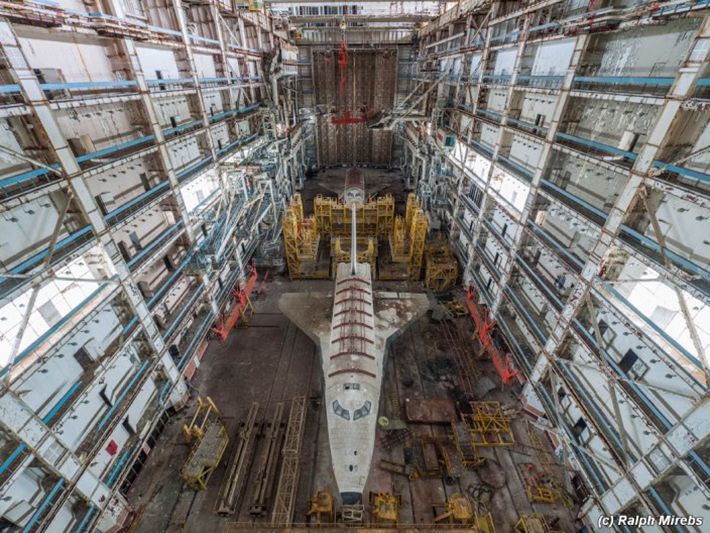 In 2015, Ralph Mirebs, an urban explorer and photographer in Russia, was exploring around Baikonur Cosmodrome in the deserts of southern Kazakhstan when he stumbled upon a very intriguing enormous, abandoned structure. 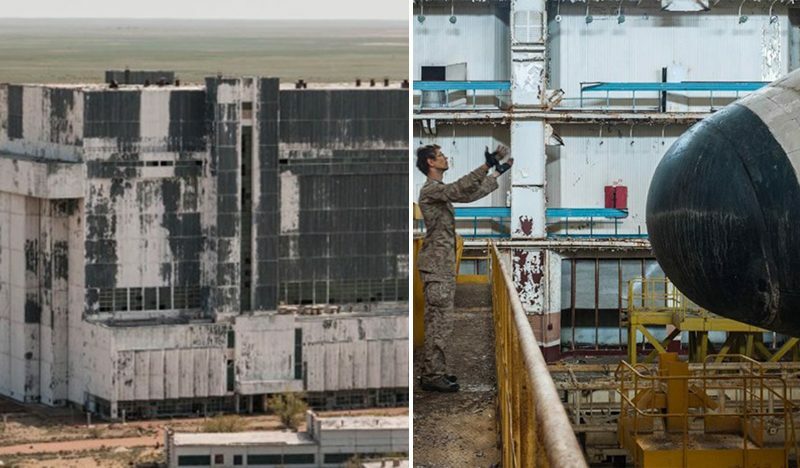 Unable to resist the mystery of what might be hiding inside, Mirebs ventured into the huge blast-proof complex. 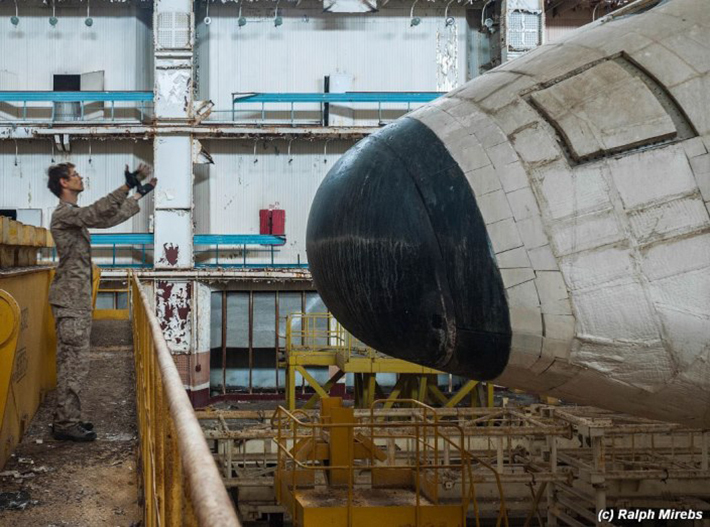 Thereafter, he realized that it was a very special building with two of the most historical items in the world – forgotten Soviet-era space shuttle prototypes, derelict and frozen in time. 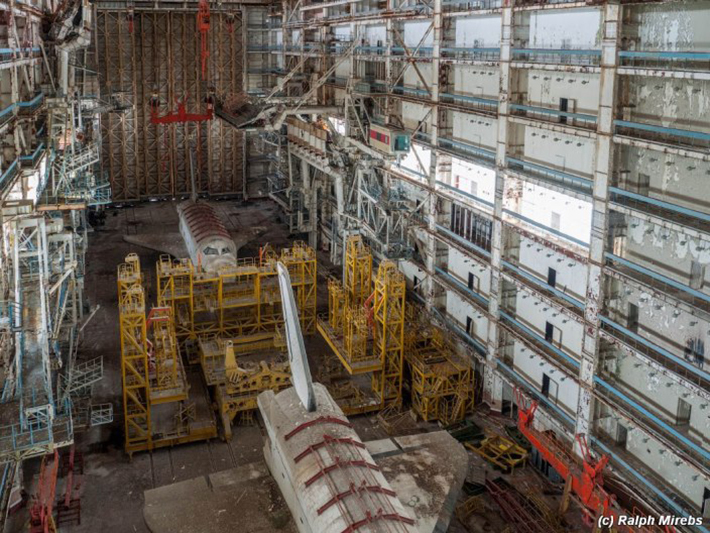 As it turned out, the structure was a relic from a once-proud space program built in the 1950s by the Soviet Union. 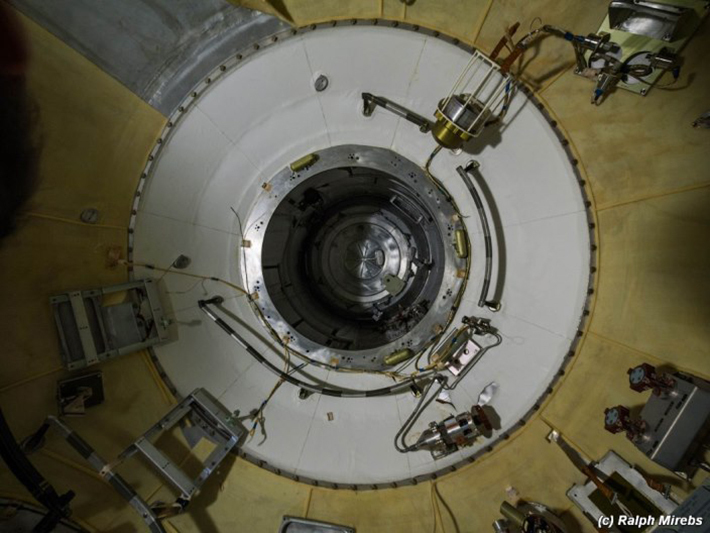 It is the world’s first and largest operational space launch facility and was created as a response to NASA’s own program. 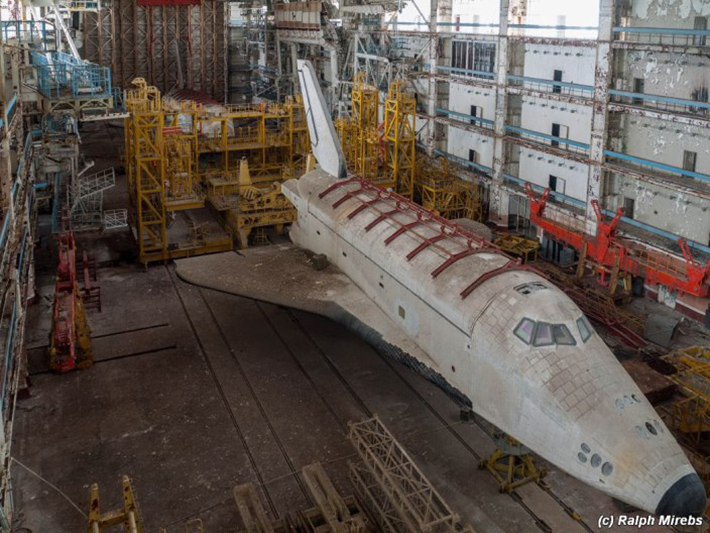 On the other hand, the space shuttles were designed and built during the 1970s and 1980s as part of the USSR’s attempt to outdo the US winged orbiters. 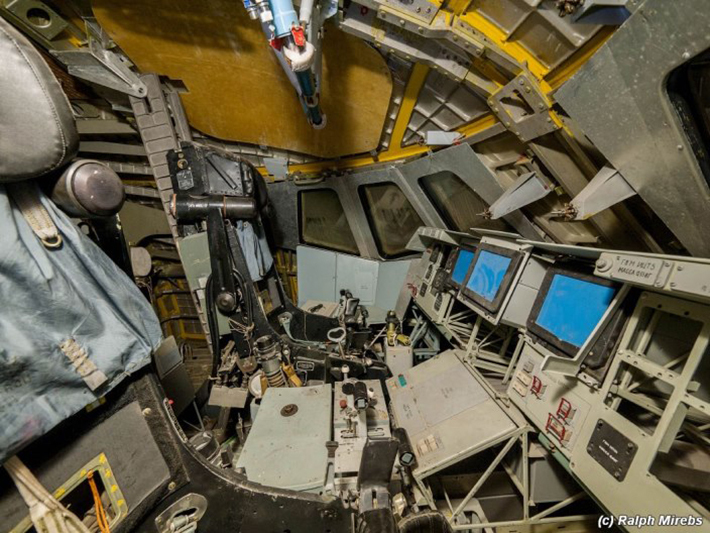 However, one shuttle named Ptichka never left Earth. 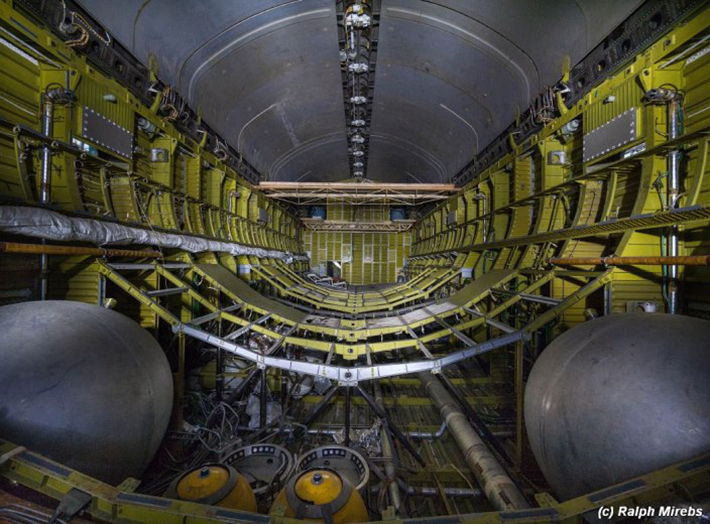 The other, a test vehicle, was never meant to fly. 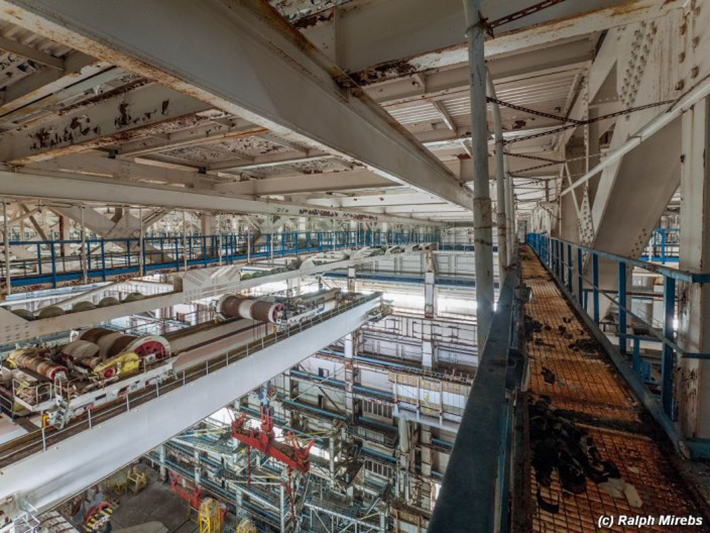 As envisioned, the Soviet shuttles would not only be able to fly themselves, they would also lift vastly heavier cargo into space that could then be used to build space stations and weapons. That didn’t happen. 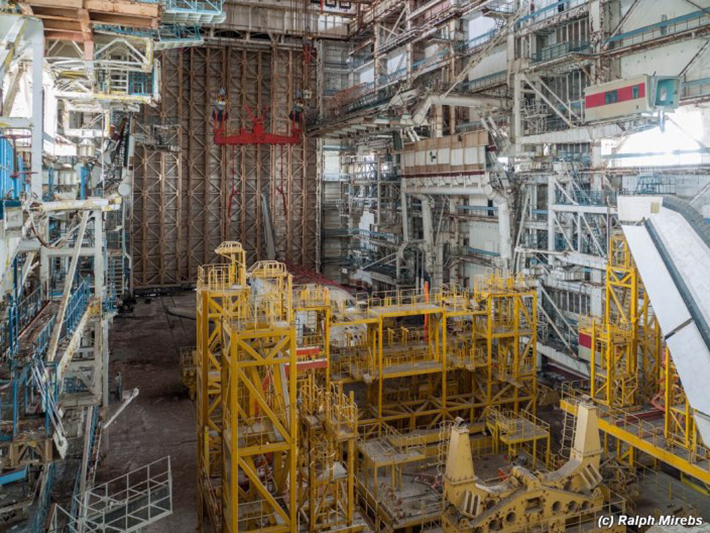 The sites where the shuttles were laid to rest have since been completely abandoned. 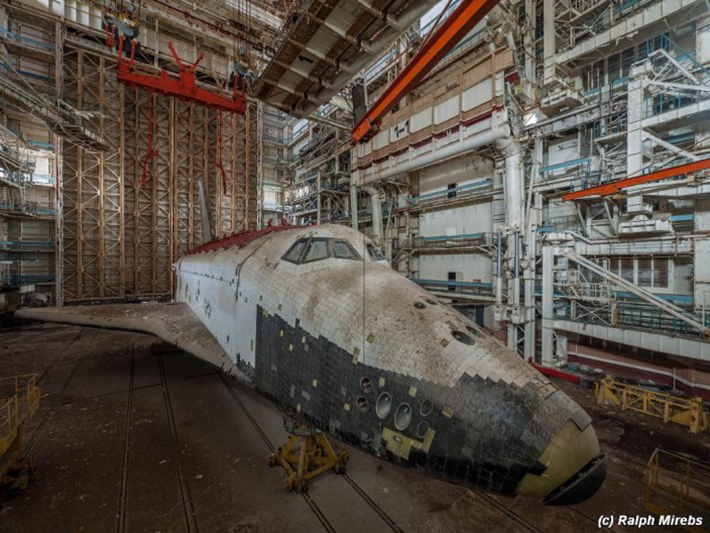 Buran was the only Soviet orbiter to leave Earth. 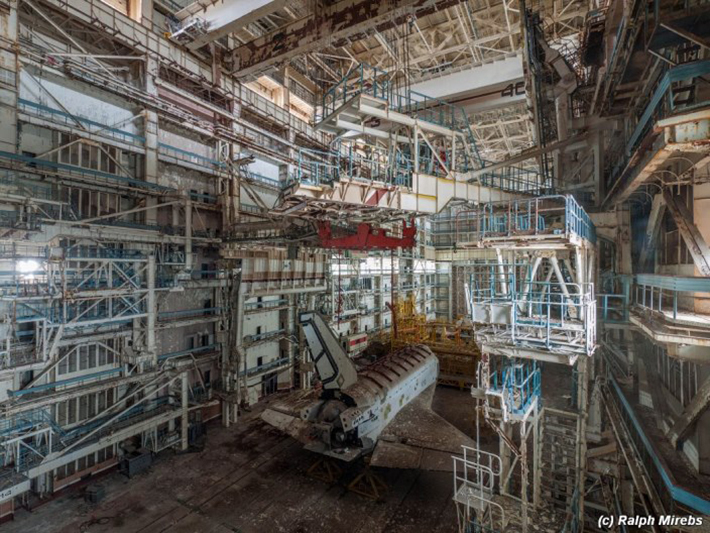 In 1993, the program was canceled entirely, leaving some vessels to rot in the hangar while others were put on display in such places as the Sydney Summer Olympics and Moscow’s Gorky Park. 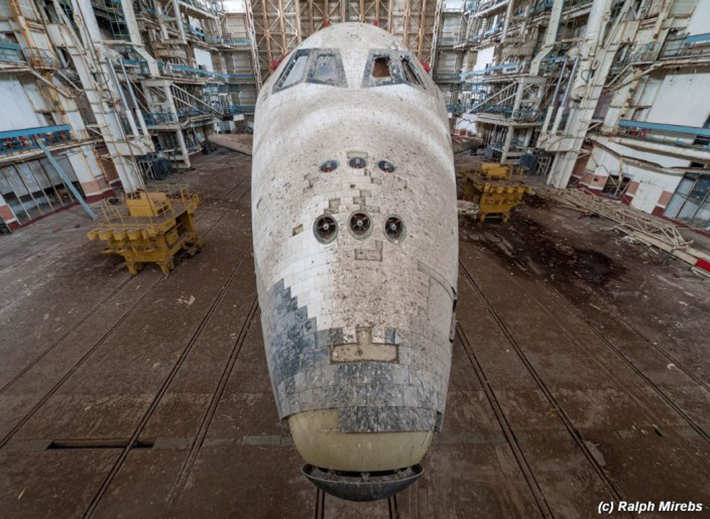 In 2002, Buran was destroyed when its hangar collapsed after an earthquake, killing eight people. 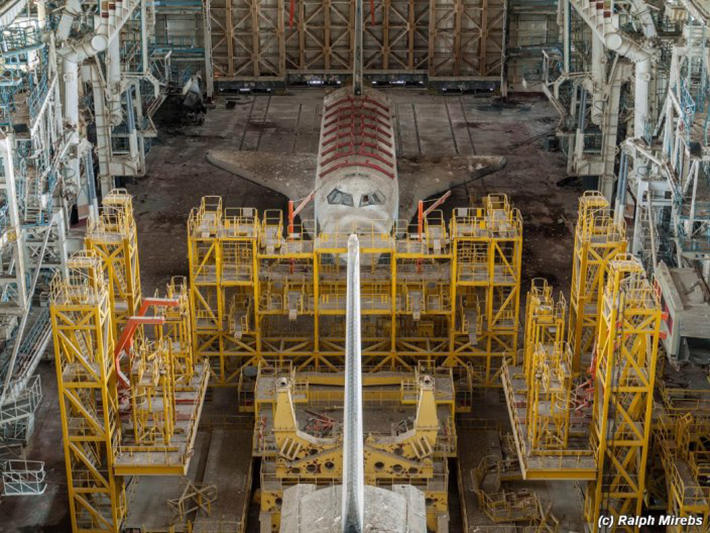 Ptichka and the other test shuttle remain at Baikonur, beckoning those who enjoy visiting moldering relics of the Cold War and yesterday’s quests to send humans to space. 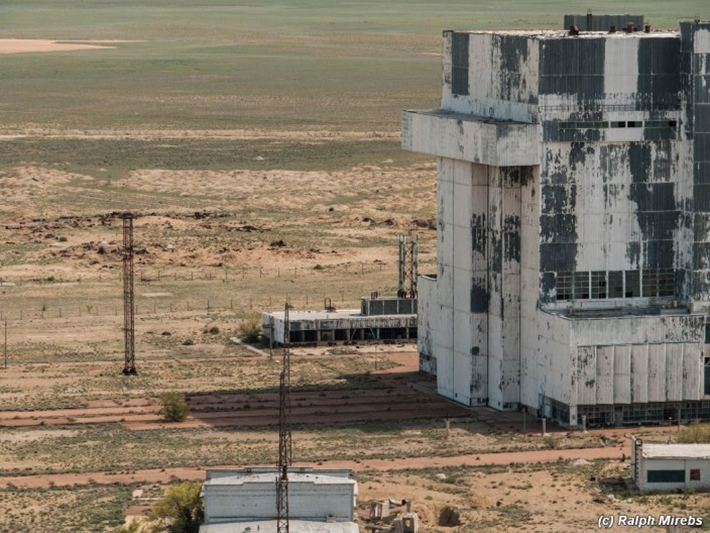 The spaceport is still used today as the sole launch site of all Soyuz missions to the International Space Station. 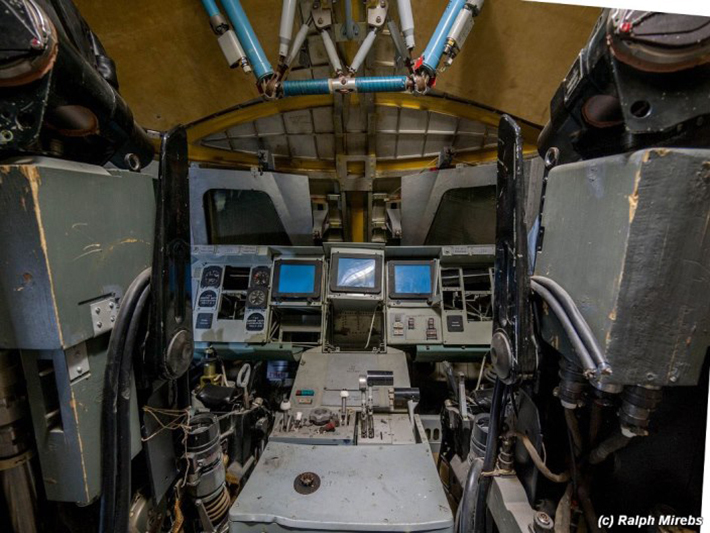 Hopefully, Mireb’s photos will inspire the Russian government to put these shuttles in a museum where they belong.